An upset coin is produced during minting when the dies for the reverse and obverse of the coin are not aligned correctly. This may be because it was incorrectly installed in the press or it rotated during the production run of coins. 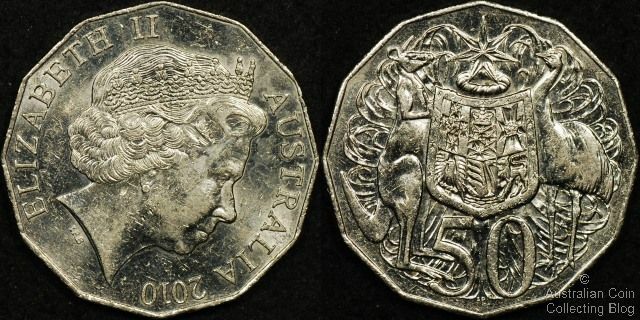 For Australian coins if you hold the reverse of the coin upright with a thumb and forefinger on the top and bottom edge you should be able to rotate the coin around to view the obverse which will be upright also. 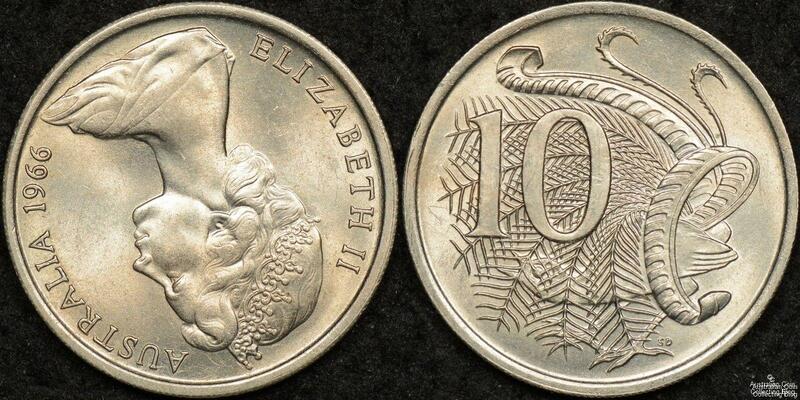 Australian coins are minted in what is known as ‘medal alignment’ -the back and front or heads and tails are both upright when viewed. Coins from other countries such as the USA for example mint their coins in what is known as ‘coin alignment’. This means if you hold the reverse of a ‘coin alignment coin’ (such an an American quarter) upright and rotate the coin around to view the obverse it will be upside down (in contrast to Australian coins). A regular coin should have the Queen (or King) look at you straight on. During minting one of the dies might not be aligned correctly or might rotate during the production run. When turning the coin around, if a coin is an upset it will show the obverse (Queen’s side) facing anything but upright. She may be leaning over to the right 90 degrees (a 90 deg upset) or upside down (180 degree upset). You may find these upset errors in any number of degrees of the clockface. If one side of the coin is only rotated a small amount, up to say 15 deg (or 1 o’clock) it won’t be considered an upset. This angle may be considered normal as there is a small allowance (tolerance) for slight angle movement in the struck coin. Pre-decimal coins may often have a slight degree of upset which is considered normal which is not so common in decimal coins. 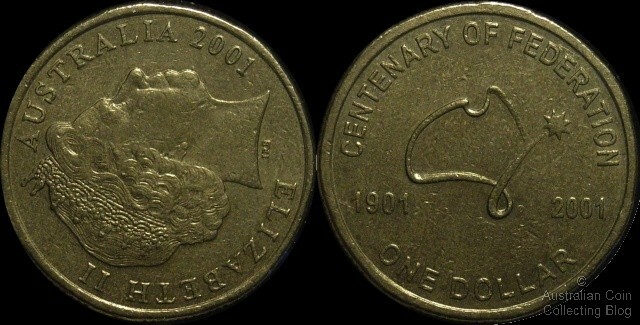 During one production run of 2001 Centenary of Federation Dollars at the Royal Australian Mint in Canberra this error occurred. Collectors have found varying degrees of upset coins ranging the entire clockface from 1 degree to 359 degrees. In this case during only one production run the obverse die rotated throughout the run causing the varying degrees of upset. Other significant decimal coins which can be found with a rotated die are 1966 5 cent, 1966 10 cent, 2001 platypus 20c and 2010 50 cent coins. Interestingly with the 50c rotation, because of the 12 sides it’s believed that one die was either incorrectly installed in the press or was hubbed rotated just one angle of alignment out, 30 degrees or one side. An upset coin will demand a premium over it’s regular counterpart. The degree of upset will also determine how collectable it is. A Federation $1 upset pulled from circulation with a 90 degree angle may fetch $20 or more depending on it’s condition so it’s worth looking out for this error in your change. It is also a coin that is not impossible to find! These Federation upsets are the most common upset coins to find. Any other upset of another denomination or a pre-decimal upset with a high rotation will certainly command a higher premium as they are much less common.